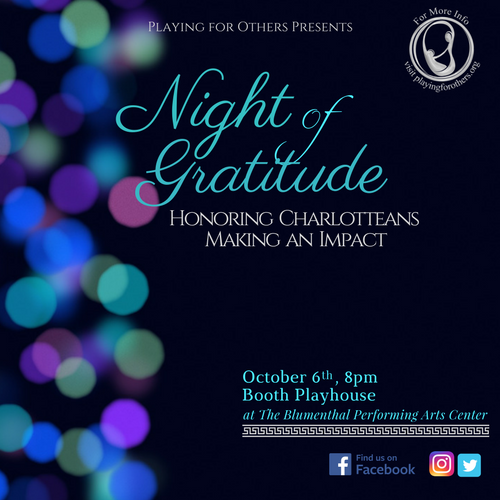 With Night of Gratitude, Playing for Others honors 10 incredible change-makers from our community. Teens from Playing for Others use inspiration from our honorees' work in the community to create original songs, spoken word poems and dance pieces and perform them in a one-night only concert on October 6th at 8pm. More information on Playing for Others.